i hav prob...when i m opening anroid market for the first tym....they are asking google..account...after logging...they is a dialog box which shows YOU DONT HAVE NETWORK and plz contact your customer care.....but i hav a network i can browse another things in that....plzz any one say wat can i do...?? Anonymous, 07 Nov 2010not yet available in the Philippines.. T_Tnow available on sony ericsson glorietta, just saw it yesterday. Anonymous, 07 Nov 2010This is not exactly a smartphone cause it doesn't have document viewer, but if you don't need ... moreIf it doesn't have a document viewer, it doesn't mean you can't download one. guy's a minor update is available for x8-android 1.6, check for the update in phone companion, it fixes many bugs. Sameera, 07 Nov 2010Any body can tell me is x8 have 3.6mbps HSDPA ?? And please help me to buy a Smart phone for ... moreThis is not exactly a smartphone cause it doesn't have document viewer, but if you don't need that than this is a phone for you. The vodafone 845 is also a great phone, it has document viewer, android 2.1 and it has HSDPA 3.6 Mbps. 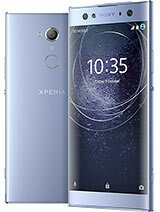 I'm searching for a phone for 160€ or less, this looks great! In the phone review it said the GPS only works in compatible countries, can someone tell me in wha countries I can use the GPS? Any body can tell me is x8 have 3.6mbps HSDPA ?? Is the upgrade already available?? I like the donut version of android, will the upgrade be to a donut version too? Nyao, 07 Nov 2010Anyone updated their units yet? Does the upgrade to Eclair solve the browser not being able to... moreYa.its upgradable.last ni8 i upgrade my x8.nw it is 2.1 eclair.from 1.6 donut. Anyone updated their units yet? Does the upgrade to Eclair solve the browser not being able to support flash? or will FroYo be the only thing that'll fix that? TY! hi,hope someone can help me.i just can't send my photo using bluetooth .